Today marks the fifth anniversary of the meeting between two men that would go on to become two of the greatest fighters of the modern-era UFC. 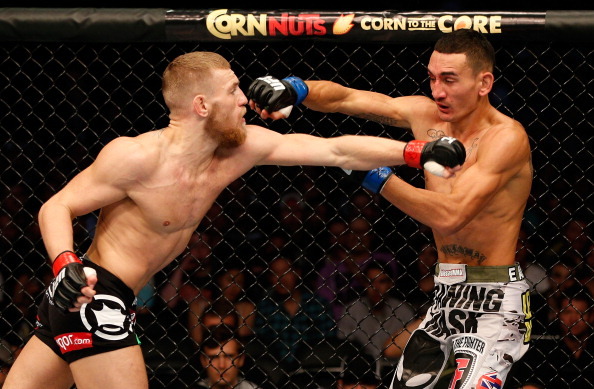 Both Conor McGregor and Max Holloway were very young in their respective MMA careers and even with their clear potential, no-one could have predicted how dominant each man would go on to become. Despite him being the younger of the two, Holloway came into this one with far more UFC experience than his counterpart – boasting a promotional record of 3-2, testing himself against the likes of Dustin Poirier, Dennis Bermudez, and Leonard Garcia. 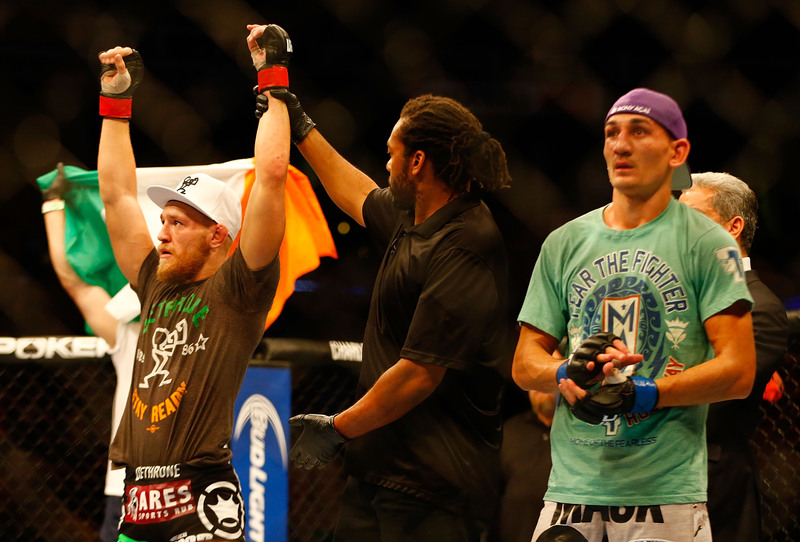 Conor was already a two-weight world champion in his former home Cage Warriors and with his 67 second KO of Marcus Brimage in his UFC debut – was already starting to attract some serious hype. The fight that came on the night was a largely one-sided affair where the Irishman had his way with the relatively green Hawaiian on the feet before tearing his ACL mid-fight. From there on, McGregor switched up his approach to a grappling-heavy one and managed to impose his will on Holloway even further. A unanimous decision win saw Conor move to 2-0 under the ZUFFA-banner, although the injury he sustained mid-fight against ‘Blessed’ would rule him out of action for 10 months. Max Holloway would bounce back from his setback and go on one of the most impressive win-streaks the sport has seen in some time – winning twelve straight and defeating the likes of José Aldo (twice), Anthony Pettis, Jeremy Stephens, Cub Swanson, and Ricardo Lamas. To this day his loss against McGregor stands as his most recent. A lot can change in five years and many have speculated over who would come out on top if they were to run it back. The question now is whether or not we’ll ever get the chance to see that happen.